Portland Timbers fans can take pride in Stanford's third consecutive NCAA men's soccer title. Sam Werner, a 2014 Lake Oswego High grad, scored the championship-winning goal in the second sudden-death overtime period on Sunday as the Cardinal beat Indiana 1-0 in the College Cup final. Werner played for the Timbers Academy from 2012 to 1014 after moving to the area from Bozeman, Montana. On the winning goal, he stole the ball from a defender and in one motion kicked the ball off the under side of the crossbar after 102 scoreless minutes. 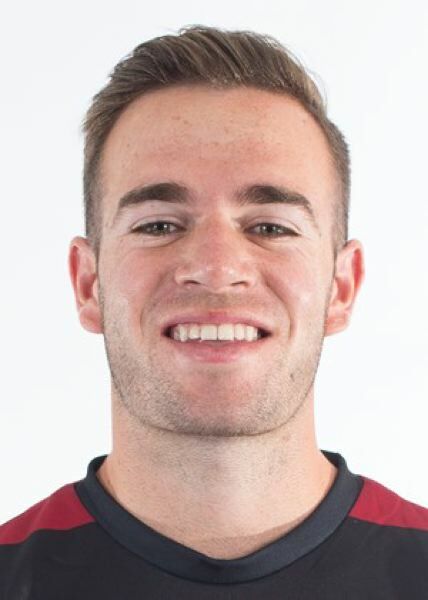 Another Timbers Academy product, Vancouver, Washington native Foster Langsdorf, scored the first goal of Stanford's 2-0 semifinal win over Akron. Werner had the other goal in the semifinal. Langsdorf, a Stanford senior who graduated from Mountain View High in Vancouver, was named a United Soccer Coaches first-team All-American this season. Friday's semifinal might have ended differently had Stanford goalkeeper Nico Corti not made a difficult save on a shot from Akron's Niko De Vera — another Timbers Academy player and a Camas High graduate. Stanford, by the way, is the first school to win both men's and women's soccer national titles in the same year. It has passed UCLA for the most total national titles with 115. And the Cardinal volleyball team is in the Final Four this week. MLB umpire Dale Scott from Portland has decided to retire at age 58, citing the risk of another concussion. Scott missed most of the 2017 season after a foul ball that hit his mask caused his second concussion in nine months and fourth in five years. His major league career began in 1985 and included three World Series, three All-Star Games and 91 postseason games. He worked 3,897 regular-season games, serving as a crew chief for 16 seasons. Scott and fellow Portland-area MLB umpire Jim Joyce were honored with merit awards for 2001 at the annual Oregon Sports Awards show hosted by Nike. The National Lacrosse League, which not long ago had the Portland LumberJax among its members, kicked off its 32nd season last Friday that will last through Feb. 10. Teams are Buffalo, Calgary, Colorado, Georgia, New England, Rochester, Saskatchewan, Toronto and Vancouver. The NLL reported an average attendance of 9,454 last season — ranging from 15,148 for Buffalo to 3,206 in Vancouver. The Georgia (Duluth) Swarm are defending champions. San Diego and Philadelphia are slated to join the league for 2018-19. NLL officials say they are looking to put teams in Washington, D.C./Baltimore, New York, the Bay Area and Dallas, as well. Oregon State linebacker Manase Hungalu didn't win the Polynesian College Football Player of the Year Award. Hungalu was one of five finalists. The winner, announced Tuesday, is Washington State defensive lineman Hercules Mata'afa. Bend High product and kicker Ryan Longwell, who scored 1,054 points during nine seasons with Green Bay from 1997-2005, will be inducted into the Packers Hall of Fame on July 21, 2018, in the Lambeau Field Atrium. The other 2018 inductee is former Green Bay offensive tackle Mark Tauscher. Alex Green, the former Benson High running back who returned to football last season after having to exit the NFL and New York Jets with an injury, is expected back with the Hamilton Tiger-Cats of the Canadian Football League and Portland native/head coach June Jones next year. Meanwhile, the Ti-Cats have lined up some depth/competition in the backfield, with two other former NFL running backs signing for 2018 — Rajion Neal (ex-Tennessee Volunteers) and Storm Johnson (ex-Central Florida). MLS Cup game, Seattle vs. Toronto: 0.7 average. ESPN Saturday night boxing: 1.5. Thursday Night Football, New Orleans vs. Atlanta: 10.2. Sunday Night Football: Pittsburgh vs. Baltimore, 11.6. • The Trail Blazers are on the road against the Miami Heat, 4:30 p.m. PT (NBCSNW). The Heat (13-13) won at Memphis on Monday, 107-82. Portland also is 13-13 and seeking to snap a five-game losing streak. • Portland State will take its pressure style of men's basketball under new coach Barret Peery to Eugene against the young but athletic Ducks. Tip-off is 7 p.m. at Matthew Knight Arena. PSU is 8-2 and has won four in a row; Oregon is 7-3. • In college women's basketball, 17th-ranked Oregon State (6-2) has a home game against Savannah State (2-5) at 11 a.m., while No. 9 Oregon (8-1) visits No. 5 Mississippi State (9-0) at 4 p.m. PT.